The language of tuition at the Faculties of Health and of Arts and Humanities is German in general. The Faculty of Management and Economics offers four bilingual degree programmes (B.Sc. Management; B.A .Philosophie, Politik und Ökonomik [Philosophy, Politics and Economics]; M.Sc. Strategy & Organization) and the international Master programme Philosophy, Politics, and Economics (PPE), taught exclusively in English. 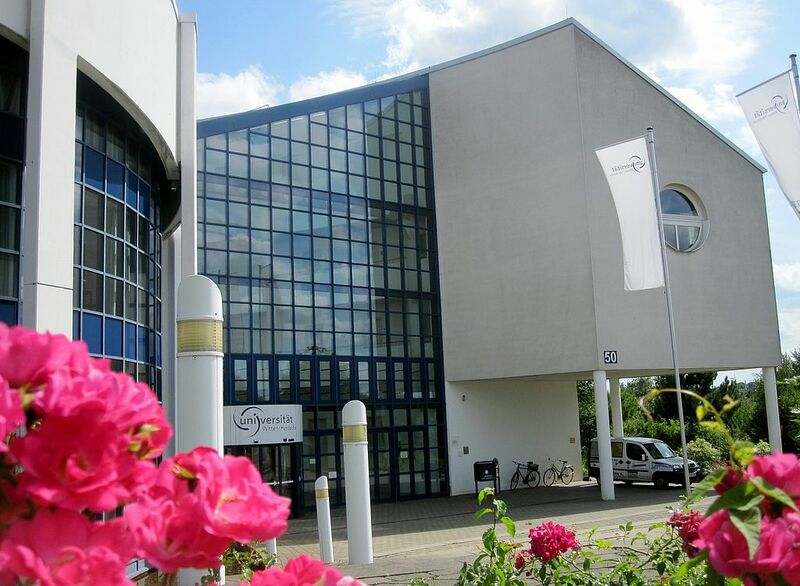 Witten/Herdecke University participates in the EU Programme ERASMUS+ (2014-20). The ERASMUS Code is D_WITTEN02. 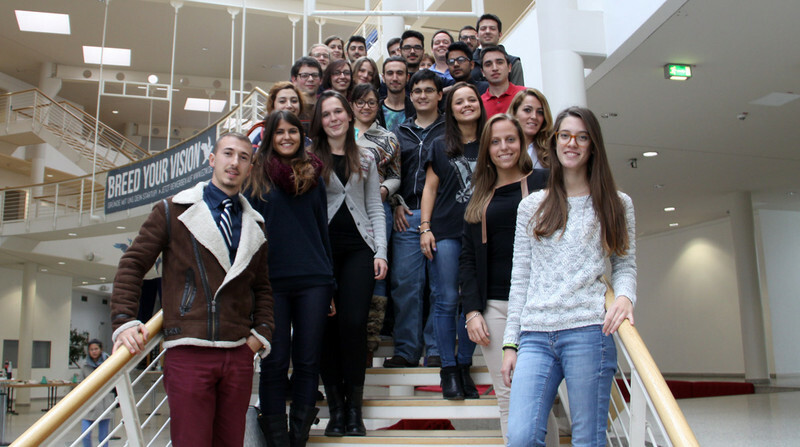 ERASMUS Exchange students are nominated to the Erasmus-Coordinator by their home universities. Deadlines for nomination via the International Office of your home university are June 30 for the subsequent winter semester, and January 30 for the subsequent summer semester. Please submit the application form duly signed and stamped. In a second step you will receive a letter of admission from Witten/Herdecke University and information on further steps for registration. For additional information on health insurance or visa issues contact us at international-incoming@uni-wh.de. In case you need a sign prior to your departure to Germany, send us your Learning Agreement. You may send us the form your home university requires or fill out the form presented here. The Erasmus Student Network Witten/Herdecke provides assistance for the first steps after your arrival to Witten including accommodation and your life in Witten. Please contact ESN Witten/Herdecke under esn@uni-wh.de. The form has to be signed by the International Office of your home university. January 31 for the following summer semester. Please send the filled and signed application form to international-incoming@uni-wh.de. Further details can be found in the fact sheet. Successful applicants will receive a formal Letter of Admission after submission and approval of the application. Admitted students may submit their Learning Agreement of their home institutions for processing. Information concerning the further steps of matriculation/enrolment will be sent by e-mail. You can find the curriculum of the faculties and departments in the campus management system UWE. A short guide in English to UWE can be found here. The system is freely accessible. The semester dates are announced here. The Faculty of Management and Economics offers a selection of classes in English in all Bachelor and Master courses. The international Master course Philosphy, Politics and Economics is taught exclusively in English. Tuition in the Faculties of Health and Arts and Humanities is in German only. International students are required have a language competence in the language of tuition of level B2 of the Common European Framework of Reference for Languages. International students enrolled at partner universities do not have to submit a language certificate with their application. Free mover are required to submit the respective prove of language competence with their application. UW/H offers weekly German courses on three competence levels for enrolled international students. Interested students may apply for the courses under sprachen@uni-wh.de. In order to enrol at UW/H you have to give proof of a valid health insurance. Information regarding visa regulations can be found on the homepage of the German Federal Foreign Office or the local foreigners' registration offices (Ausländerbehörden). The International Office of UW/H is happy to help in questions of visa application and procedures under international-incoming@uni-wh.de. Although the university does not have a hall of residence, finding accommodation in Witten is easy. The Student Service Centre (Hochschulwerk) offers information on flat-sharing. International students seeking accommodation may also contact either the International Office (international-incoming@uni-wh.de) or the student initiative Erasmus Student Network Witten. Diversity in all facets has highest priority at UW/H. UW/H welcomes all students irrespective of their race, religious beliefs and creeds, sexual identities, physical abilities, political convictions and socio-economic status who subscribe to these core values of respect and acceptance in turn. Find more on diversity at UW/H. International students with special needs are cordially invited to get in touch with the International Office before arrival at Witten. With one exception, all buildings of UW/H are barrier-free. To be honest, Witten itself may not quite be as exciting as Berlin. However, it boasts a nice student scene in the Wiesenviertel – and is situated in the bustling Ruhr metropolitan area, the third largest agglomeration in Europe with top class concert halls in Dortmund and Essen, a lively pub scene in Bochum, first-rate football clubs in Dortmund and Gelsenkirchen, innovative theatres in Dortmund and Essen – all within easy reach by train and bus within less than 30 minutes. It is centrally located in Germany, with excellent connections to Düsseldorf and Cologne (just over an hour), Hamburg and Berlin (about three hours by train). Further information can be found on the Life in Witten and Erasmus Student Network Witten pages. Would you like to become an Erasmus student at UW/H? Please use this contact for your first enquiry.